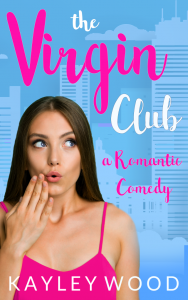 This book is the holy grail of Clean Eating books! Packed with more information on clean eating than any other book on the market The Clean Eating Dinner Cookbook & Diet Plan gives you more than 50 eating clean recipes for your dinner table that will keep you energized, focused and help you lose weight the Clean Eating way. This real food cookbook is packed with beautiful pictures and easy-to-follow descriptions of complete dinners for your new real food diet and lifestyle. These recipes are simple, delicious and quick to make. Are you tired of fad diets that promise the world and leave you feeling hungry and feeling like a failure? This eating clean cookbook will help you steer clear of overly-processed, empty calorie foods that can make you fat and keep you from feeling your best. Clean Eating isn’t a diet or a fad. Clean Eating is a lifestyle change that doesn’t restrict real food from your plate. Exactly what clean eating is and how simple it is to incorporate into your busy lifestyle. How to enjoy a lifetime of natural, unprocessed, real foods that are not only healthy but taste great. The health benefits of a clean eating diet and lifestyle and why removing things like refined sugar, GMOs, chemicals, pesticides, hormones and overly-processed foods will improve your health and help you look and feel great. More than 50 Clean Eating Recipes you’ll love and that will fit into your busy schedule. How to read and understand food labels, what they say, what they want you to believe, what they really mean, and how to decipher the label and choose the foods that are healthiest for you and your family. ˃˃˃ If you want to lower your risk of developing cancer, type 2 diabetes or heart disease, you should not pass up this book! We have been conditioned to believe that in order to be healthy, we have to deprive ourselves of good-tasting, satisfying food. This is simply not true. You can eat real food–even things you’ve been taught were off-limits like bacon and burgers! 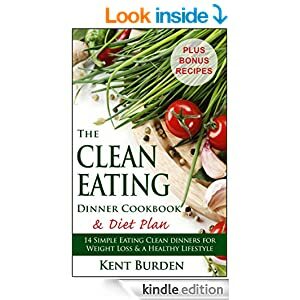 Wellness expert Kent Burden combines the latest research and a compelling and entertaining history of food in this comprehensive guide which even includes a chapter on Clean Eating beer, wine and spirits.